Fairview Farm: Christmas in a Jar...Great Neighbor Gift! Christmas in a Jar...Great Neighbor Gift! My house smells like spicy cinnamon, orange, and nutmeg right now. Oh, the aroma of Christmas! I found this idea at Dandee-Designs and I just think it is a perfect little gift for neighbors! I dried some oranges and apples, added some cinnamon sticks, nutmeg, and other spices. Best of all, your recipient will have a couple says of their homes smelling divinely Christmas! 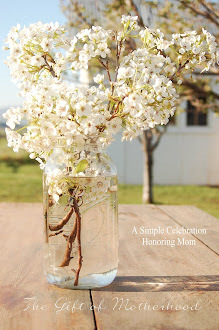 * I used the specified mix for 5 pint jars, and thought it smelled GREAT! I love the house smelling like Christmas. Great gift idea! Thanks! I have a question. I followed the links over thru several sites and finally got the recipe for this mix ... and now here's my question: Does the recipe make 1 gift? If so, it is going to be very expensive -- or did I miss something? The recipe calls for 1/2 C of whole cloves, 1/4 C whole allspice, and 5 cinnamon sticks ... among other ingredients. Is this a big mix that I can separate out? Or is this for one jar? On the final site it looks like one gift has all this in it. I love your Christmas gift ideas. One year I made everyone heating pads with the spiced rice mix -- everyone loved them. But this time I'm worried that the cost will be prohibitive. How did you do yours? Thanks. I love your blog, and appreciate all your ideas. Have a merry Christmas. Leslie, I should have specified...and I will totally go back and change that the mix makes several jars. I used it for 5 pint jars and it worked great. I suppose you could use bigger jars and include more of the mix, but I thought it smelled great dividing it among 5 jars. Thanks for the great question! !